Halloween Alley Stores Open This Week! Are you ready for a bloody-awesome Halloween 2015? Our stores officially open this week! Stop by our stores for anything and everything Halloween – the best costumes for men, women, children and even your pets. We have it all in one place to make the best Halloween experience as easy as stopping by our store! This year, we’re opening 40 stores across Canada. Check out our list of locations to find your nearest store! Here is the list of stores that are opening this week across Canada. More to come soon! 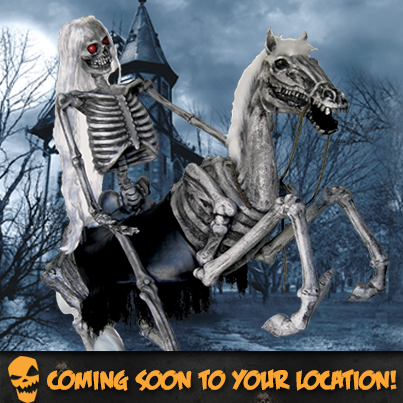 –Abbotsford Halloween Store – Open Now! –Langley Halloween Store – Open Now! –Prince George Halloween Store – Open Now! –Prince Albert Halloween Store – Open Now! –Surrey Halloween Store – Open Now! Want to stay up-to-date on promotions, contests and more? Sign up for our newsletter for exciting Halloween news! Or, follow us on Facebook and Twitter for Halloween updates by the minute. We love Halloween just as much as you do. Visit our Pinterest and Instagram pages to see the cool things we have in store for you this Halloween 2015!